Sylvia is a Partner in the Risk Consulting practice at KPMG Canada, and the National Data Protection and Privacy Leader. 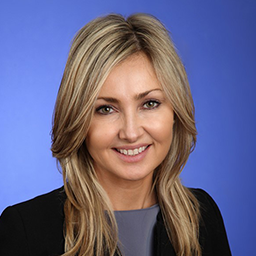 Sylvia has over 15 years‘ experience providing strategic, privacy risk management and compliance advisory services, serving both the public and private sectors. Her specialty is transforming existing corporate compliance and privacy programs in response to internal audits, regulatory findings and exams. She often deals with banking regulators and Privacy Commissioners remediating compliance orders, and has advised on some of the largest, high-profile data breach investigations. She also advises executive teams on the development and implementation of data-driven digital strategies to support major IT and business transformations in alignment with new regulations and digital trends. Sylvia is a lawyer by training and often speaks on the intersection of emerging technologies, privacy and the regulatory expectations.